Coconut Creek, Florida - Monopoly Group sells 5 developed single-family lots in a gated community to D.R. Horton. 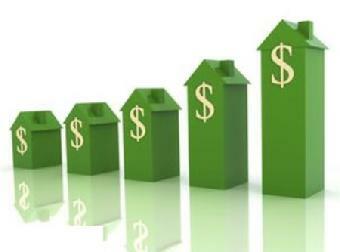 Homes will sell from the high $600's - $800's. Estero, Florida- Monopoly Group purchased from Regions Bank & PNC Bank a distressed $36,300,000.00 mortgage and notes secured by 68.91 acres of vacant, entitled, residential development land in Estero, Florida. North Lauderdale, Florida - Monopoly Real Estate represented the investor-seller on the sale of 14 develoiped town house lots in the Mediterania Townhouse Community. The community was planned and approved for 58 townhomes of which 44 were built and sold by the original developer prior to losing the community to forclosure. A community pool with cabana and all infrastructure were fully completed by the original developer. North Broward County is mostly built out with very little land and a limited number of new homes available. Tamarac, Florida - Monopoly Real Estate sold the remaining 28 townhouse lots in St. Moritz Tamarac. The Seller was an investor who purchased the distressed assets which included 28 lots and 4 built townhomes from a lender following forclosure. Monopoly was the sole broker facilitating the transaction. Coconut Creek, Florida - Monopoly Real Estate sold the remaining five developed lots in Rainforest Estates to Paragon Homes. The Investor/Seller purchased unsold homes and lots from the FDIC. Monopoly was the sole broker representing both Buyer and Seller. Paragon Homes plans to build and market single-family homes with 3,500 square feet under air from the low $500's.